I like itsubmitted by Jonathan L. - Feb 28, 2018 |Recommended: YesJust do your own think within the rules and it's very easy going. response from property - Mar 01, 2018 Thank you very much. We have a lot of great residents like you here at The Rev. Nice and quietsubmitted by Dallin L. - Feb 19, 2018 |Recommended: YesOk priced. Close to everything but also far enough from everything. Nice, spacious, friendly management team, nice neighborssubmitted by Andrew R. - Aug 14, 2017 |Recommended: YesThe Rev is a great location. It's right in the middle of several different and important shops and modes of transportation. The management is amazing. I've been struggling to keep my head above water since moving in and the team managing has been phenomenal with working with me and being incredibly patient. The also keep the tenants posted on any and every change that could effect us and are always open to talk.  I would absolutely recommend living at The Rev. response from property - Aug 15, 2017 Thank you very much ! The Team here at The Rev!